The BioBolt EVO3 Deadbolt can be purchased directly from Intelligent Biometric Controls, Inc. or from authorized sales partners. Availability from sales partner may depend on resellers supply. Four available finishes are for purchase; Aged Bronze, Polished Brass, Brushed Nickel, and Antique Bronze. 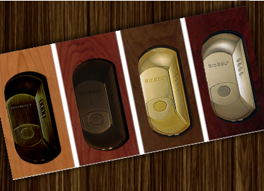 Custom finishes are available with a minimum order quantity. Please speak with Intelligent Biometric Controls, Inc. for more information for special orders. All Orders Ship Free UPS Ground Service. Orders placed by 3PM Eastern Time usually ship same day.